In court, Angelina Jolie has slammed Brad Pitt for being a deadbeat dad, and clarified publicly that a loan is not child support. The fighting during their messy divorce has reached a turning point. Insiders say that Brad is no longer interested in reconciliation with Angelina. He just wants his kids. “Brad couldn’t care less about Angelina supposedly missing him or regretting filing for divorce,” an insider reveals to HollywoodLife. The rest of us have known that since late 2016, so it’s great to hear that he’s figured it out. That sounds like it’s best for everyone involved — Brad, Angelina, and especially the children. 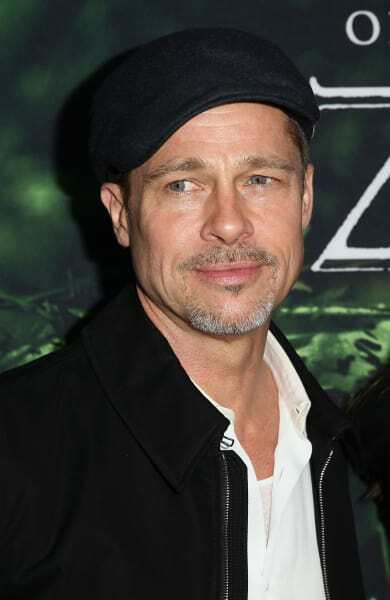 “The past couple of years have been a living hell for Brad,” the source shares. That is curious, since the upsetting circumstances that led Angelina to file for divorce left many former fans feeling that way about him. “But he’s made his peace with it now,” the source adds. Not just with Neri Oxman, but emotionally. It sounds like he’s accepted that life is never going back to the way that it was. Brad apparently has a new priority. “All that he’s focused on is securing access to his kids,” the source reveals. We’re sure that Brad, like so many people, wishes that he hadn’t done whatever he did on that plane to get Angelina to report him to the FBI for child abuse. Curiously, an inside source says that it’s now Angelina who wishes things were a little different. It’s normal to occassionally wax nostalgic about past relationships, even ones that failed spectacularly and which you know you ended for the right reasons. This is so worrisome to hear. Those who have gone through difficult divorces know that sometimes, you wonder if it would have been best to just accept and ignore your situation. We have to say that we have a hard time accepting the report about Angelina. Oh, we’re willing to believe that Brad is angry and perhaps bitter and no longer wants to try vainly to rekindle what he and Angelina once had. But the source claims to know Angelina’s thoughts. We’re sure that Angelina feels a lot of conflicting emotions about her history with Brad. But in the end, she probably knows that she did the right thing.